Evaluate our Time-of-Flight and Thermal sensor modules with our convenient plug and play kits. Each evaluation kit comes with all you need to get up and running quickly. All our sensors and cameras are factory calibrated to output reliable distance or temperature data, out of the box. 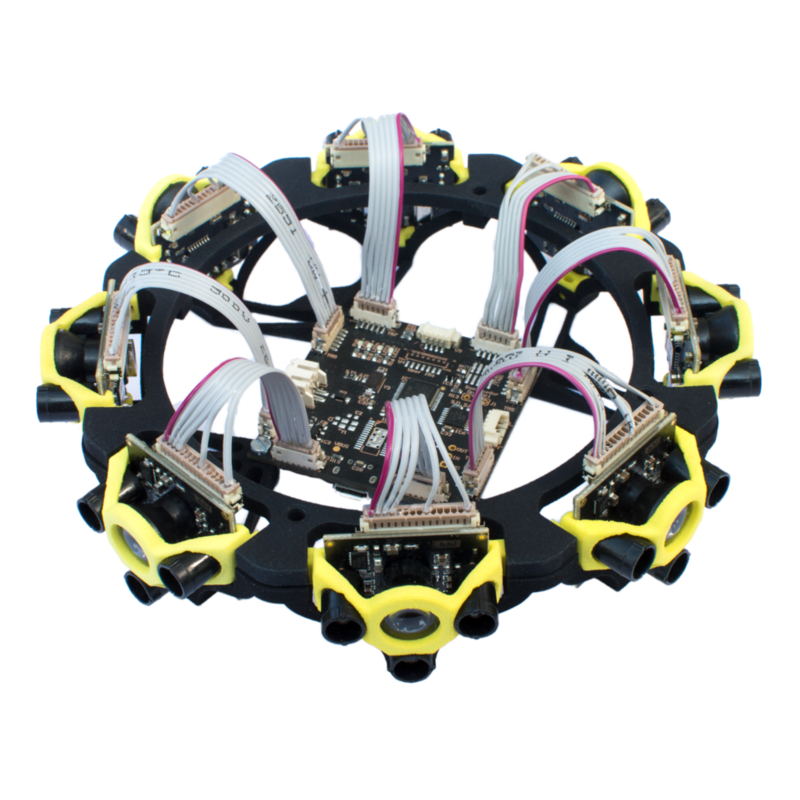 They are compatible with many platforms such as ROS, Pixhawk, Arduino, and many others. Switch easily from USB to UART and I2C interfaces with clip-on interface boards. 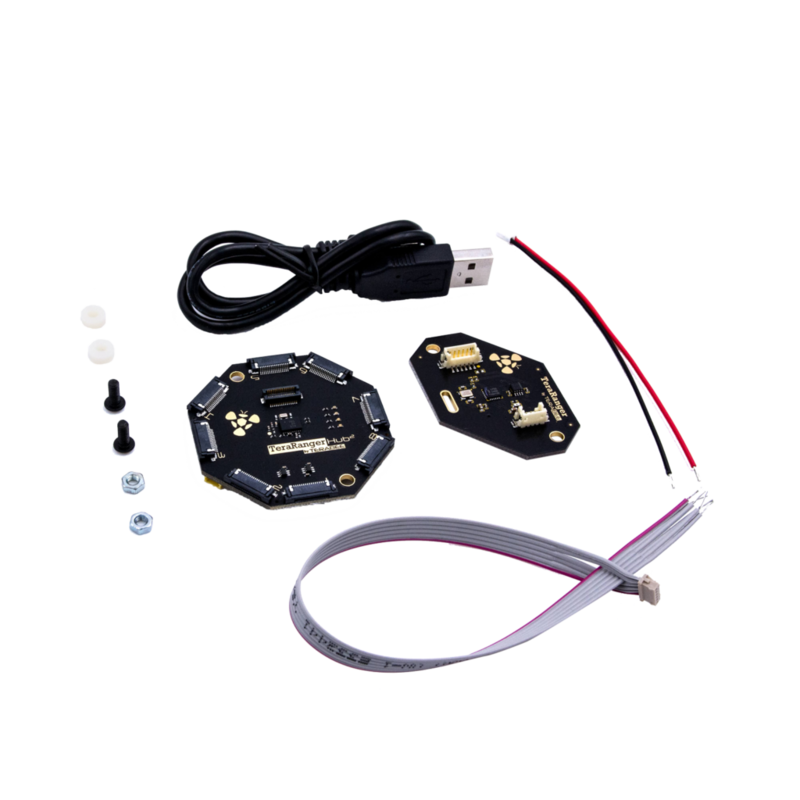 The kit includes the TeraRanger Evo 60m sensor - our flagship long-range Time-of-Flight range finder as well as two clip-on, interchangeable interface boards - USB Backboard and I2C/UART Backboard. With a 10% saving on individual product prices, the TeraRanger Evo 60m evaluation kit offers great value, making our technology even more accessible to R&D, education and developer communities. The kit is built on our modular Evo sensor family and includes 4 different active Time-of-Flight sensors and 2 infrared thermal cameras with different fields of view. The modular two-part design of Evo sensors allows quick testing and prototyping with a variety of interfaces including USB, UART, and I2C. Just clip-on your preferred interface backboard to any Evo sensor. 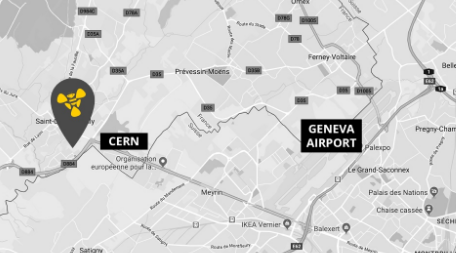 No additional calibration is required as the sensors stream factory calibrated distance values in millimeters and thermal data in deci kelvins. The lightweight design of the Evo sensor platform is ideally suited for mobile robotics, while the small-form-factor enables discrete installation in IoT applications, automation solutions and embedded systems. With a 27% saving on RRP, the Evo family evaluation kit offers great value, making our sensors even more accessible to R&D, education and fab lab clients. Developed for indoor applications, our compact 3D Time-of-Flight (ToF) depth cameras will enable you to measure volume, recognize gestures, capture movement and more. Benefit from factory calibrated depth data and quick and easy setup. 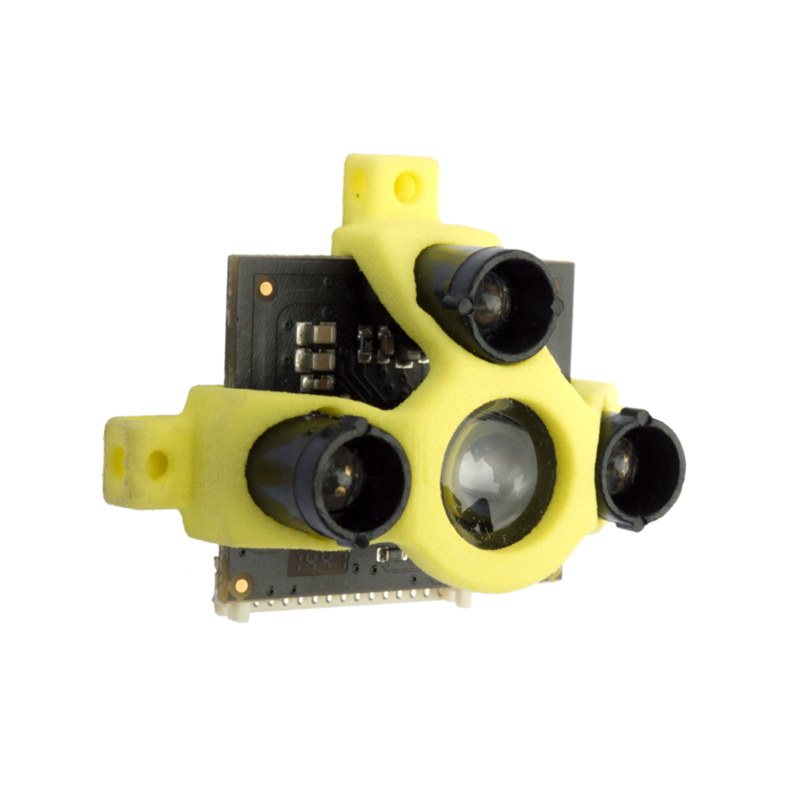 Enable the third dimension with an 80x60 pixel resolution and 74° x 57° Field-of-View. The 3D Time-of-Flight camera benefits from a robust aluminium casing while still offering a compact (83 grams) and discrete design. 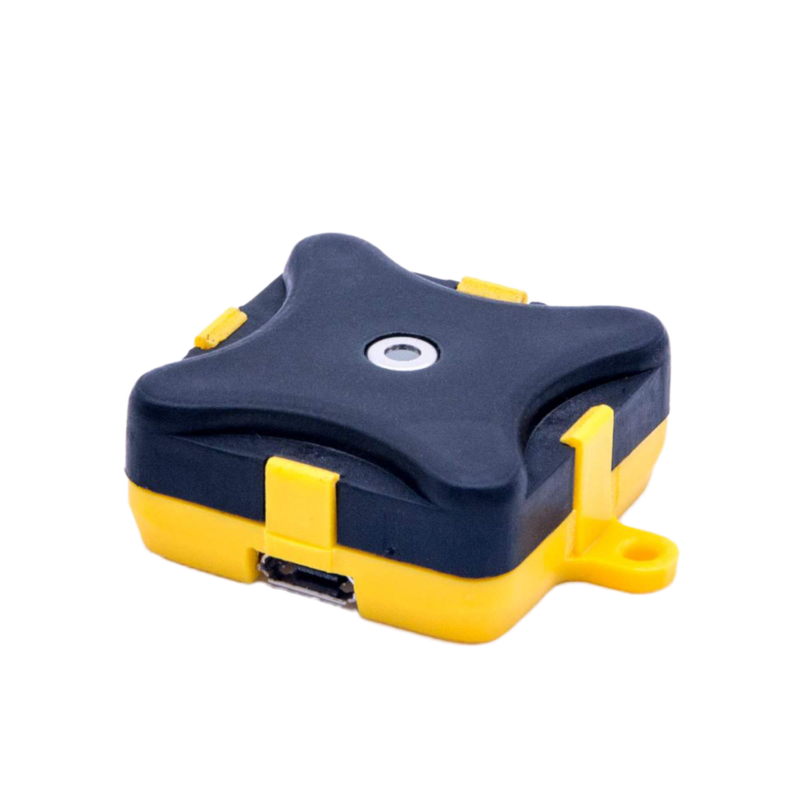 It is easy to set up and to stream depth data via USB interface on Windows or Linux OS. 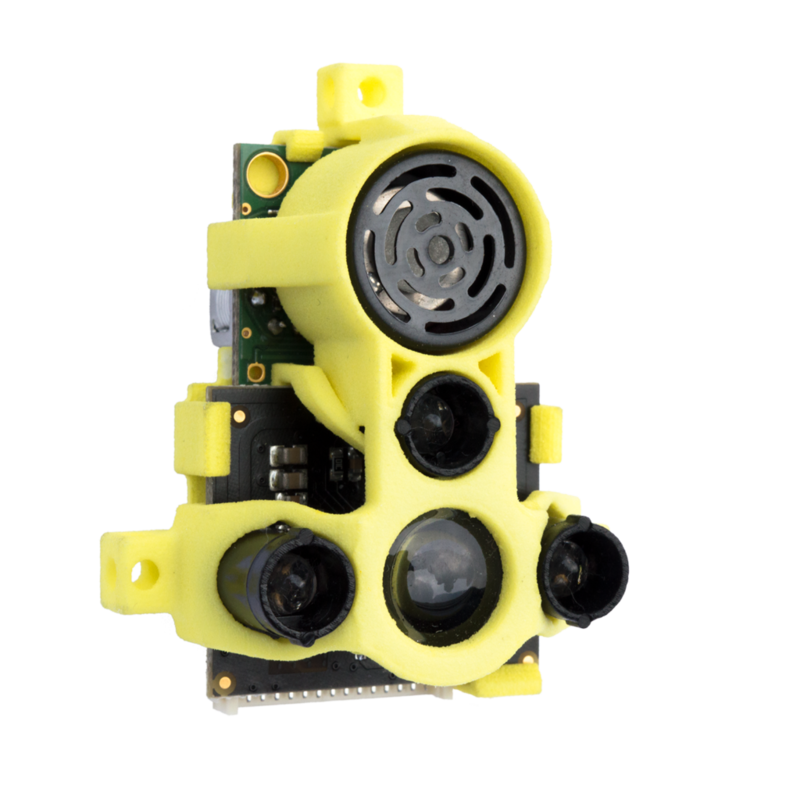 Terabee 3Dcam comes with an OpenNI-based SDK, C/C++ samples, Python samples and ROS package. Developed for indoor use, Evo 64px outputs a matrix of 8x8 high-speed distance readings over a 15 degree Field of View, with a maximum range of up to 5 meters. All in a small and lightweight form-factor, only 15 grams. A free graphical user interface is available for quick tests on your PC, and drivers for ROS are also written adding to the plug and play convenience. 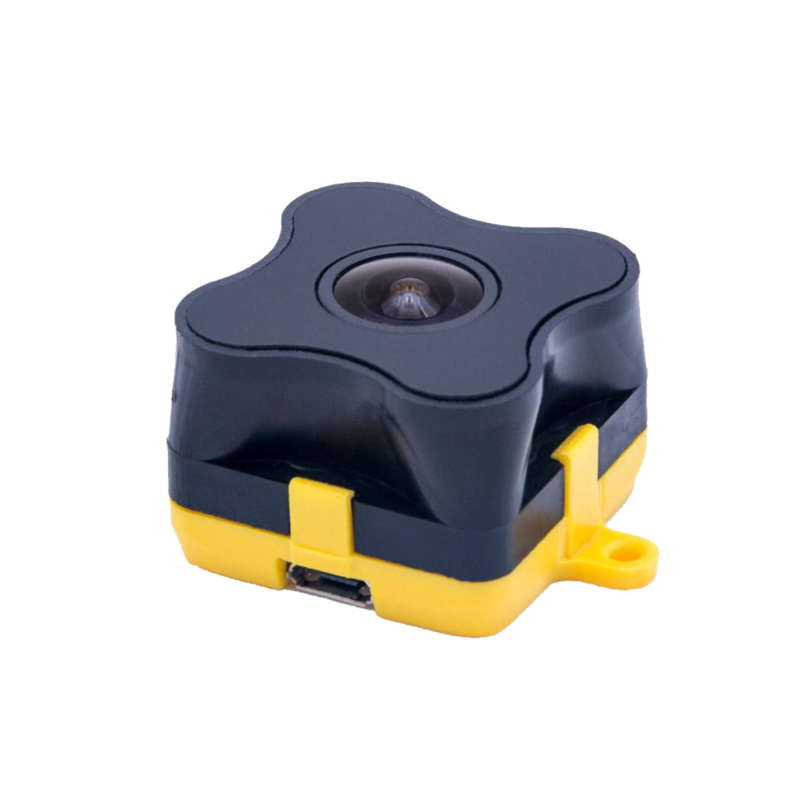 With its 10 cm to 3m range, fixed 100Hz update rate and greater accuracy, TeraRanger Evo 3m is perfectly suited to close-range distance sensing applications, object detection, robot positioning and navigation. All in a small and lightweight form-factor. TeraRanger One is part of Terabee’s first generation Time-of-Flight technology and offers a 14-meter measuring range in a lightweight (8 grams) and low-cost design. The sensor is much faster than ultrasound, more compact than laser-based systems & less power demanding than vision-based systems. 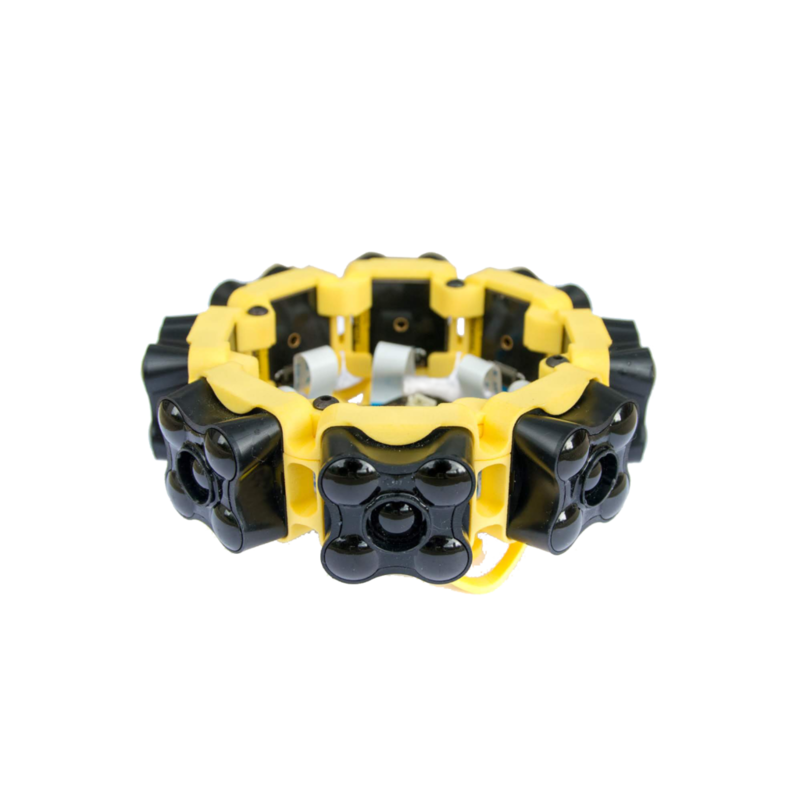 This makes the TeraRanger One ideal for fast-moving robotics and automation applications. You’ll never run into issues detecting the proximity of difficult surfaces again with our dual technology sensor. TeraRanger Duo combines Time-of-Flight and ultrasonic distance measurement technologies in a lightweight, high-performance and cost-effective package! With TeraRanger Duo detect reflective, transparent or absorbent surfaces with zero problems! Our Time-of-Flight (ToF) distance sensors measure a single point and return distance values in millimeters at high speed. They are plug and play, eye-safe and easy to use. Typical applications include robotics distance sensing, proximity sensing, stock level monitoring, object counting and more. 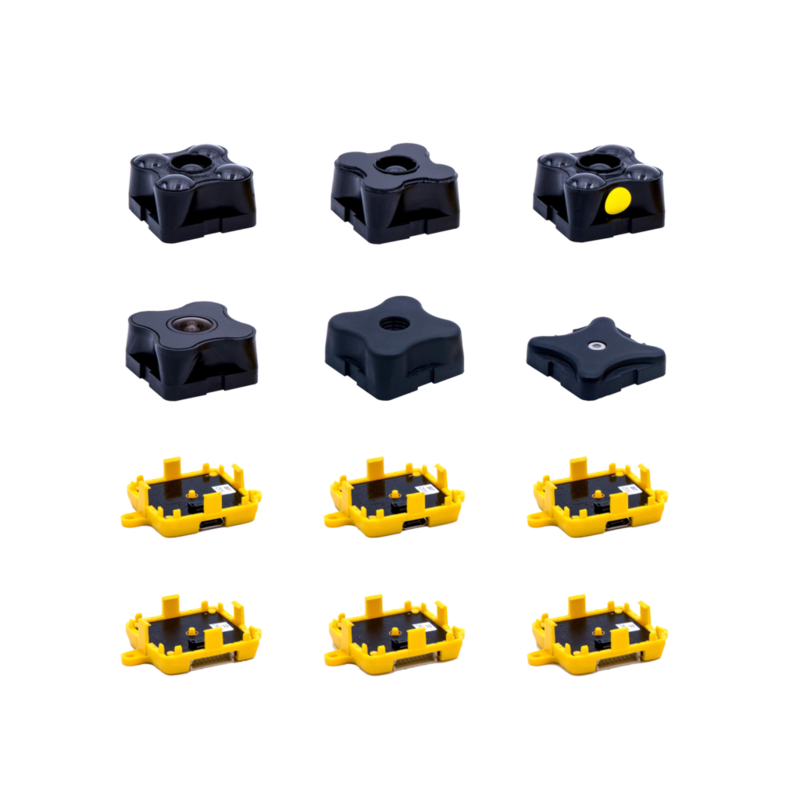 Building on the advanced features of our single point sensors, these products combine multiple ToF distance sensors to provide plug and play multi-sensor, multi-axis solutions. TeraRanger Tower Evo is a solid-state LiDAR system. With zero moving parts, the product offers increased robustness and silent operation, while the compact and lightweight design makes it ideal for fast-moving and lightweight robotic applications, both on the ground and airborne! TeraRanger Tower Evo is compatible with Pixhawk (APM) flight controllers. Choose between 4 versions with varying performance, including 4 or 8 detection zones. 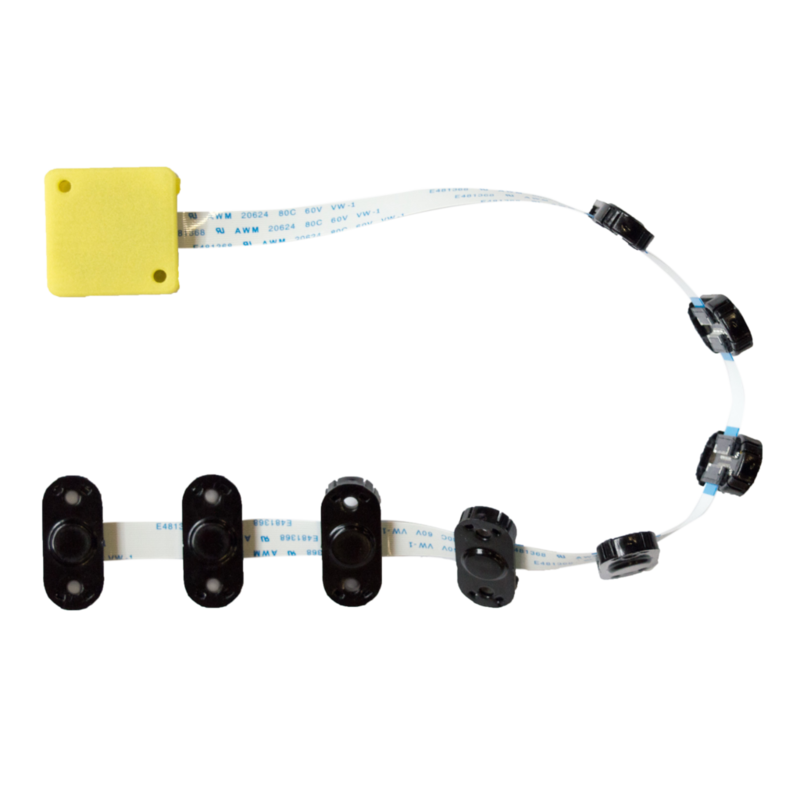 TeraRanger Multiflex is a modular & low-cost sensing kit. You’ll receive eight plug & play sensor modules on one flexible bus making it easy to create custom configurations and to place sensors where needed. When sensors are positioned in a configuration where crosstalk is likely, the central Hub synchronizes distance measurements from each sensor, triggering these in a sequence that avoids crosstalk. It’s the ideal – and higher performance – alternative to ultrasound for robot collision avoidance, stock monitoring and a myriad other closer range distance sensing applications, all in one convenient and easy to use kit. TeraRanger Tower is a non-rotating LiDAR scanner ideal for obstacle avoidance on fast-moving robotic applications, both ground and airborne. With zero moving parts, the product offers increased robustness and silent operation - all in a lightweight and compact design. TeraRanger Tower uses Terabee’s first generation distance sensors - TeraRanger One. Select between 4 or 8 sensor configurations. Our thermographic cameras use passive Infrared technology to monitor heat variations in your environment. They operate in a broad range of conditions, including direct sunlight, fog, and complete darkness, and output non-intrusive data that protects personal privacy. This technology is ideal for safety, factory quality control, presence and movement detection, and many more applications. The thermographic addition to the TeraRanger Evo family offers versatile performance in a compact and affordable design, ideal for Smart city, Smart building, and Industrial applications. Evo Thermal 90º version - benefit from a wide 90º Field of View to cover larger areas for monitoring temperature variations. 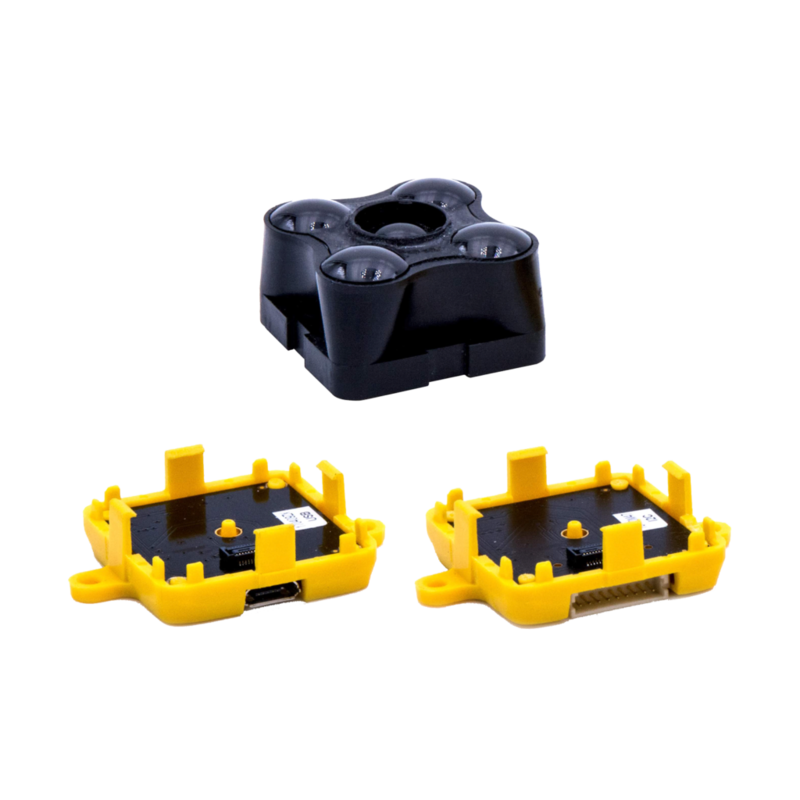 The small and lightweight (from 7 grams) design makes it an ideal solution for system integrators and OEM applications. The thermographic addition to the TeraRanger Evo family offers versatile performance in a compact and affordable design, ideal for Smart City, Smart building and Industrial applications. Evo Thermal 33º version - obtain a more detailed thermal image with the 32x32 pixel resolution over a 33º Field of View. Measure heat variations at an extended range (13m for human detection) and a higher sampling rate (14Hz). The sensor weighs only 12 grams making it suitable to OEM applications and systems integrators. 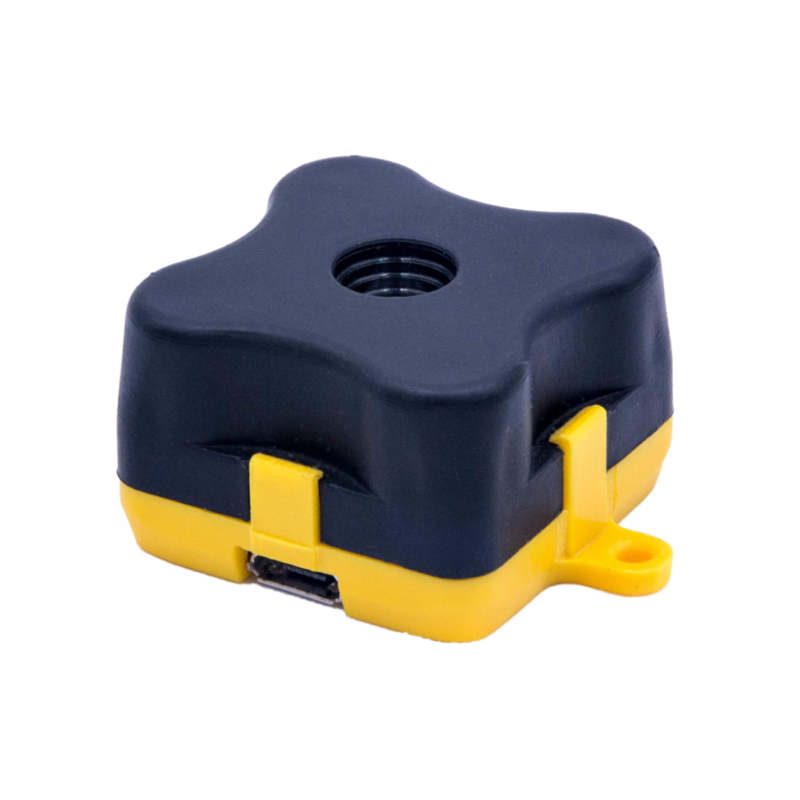 Boost your development with our plug and play sensor accessories. Get more value out of our sensor modules by selecting from a range of communication and power interfaces such as USB, UART and I2C. Extend the reach of your applications with different cable lengths or enable custom sensor arrays. I2C/UART Backboard is an easy to clip-on interface board, compatible with all sensor modules of TeraRanger Evo family. The lightweight board allows connection between Evo sensors and an I2C/UART-supported device, allowing, for instance plug’n play compatibility with Pixhawk autopilots. USB Backboard is an easy to clip-on interface board, compatible with all sensor modules of TeraRanger Evo family. The lightweight board allows connection between Evo sensors and a USB-supported device, ensuring quick tests on a PC and streaming distance data via our graphical user interface. Hub Evo Backboard is an easy to clip-on interface board, compatible with TeraRanger TeraRanger Evo 60m, Evo 3m and Evo 600Hz ToF sensors. 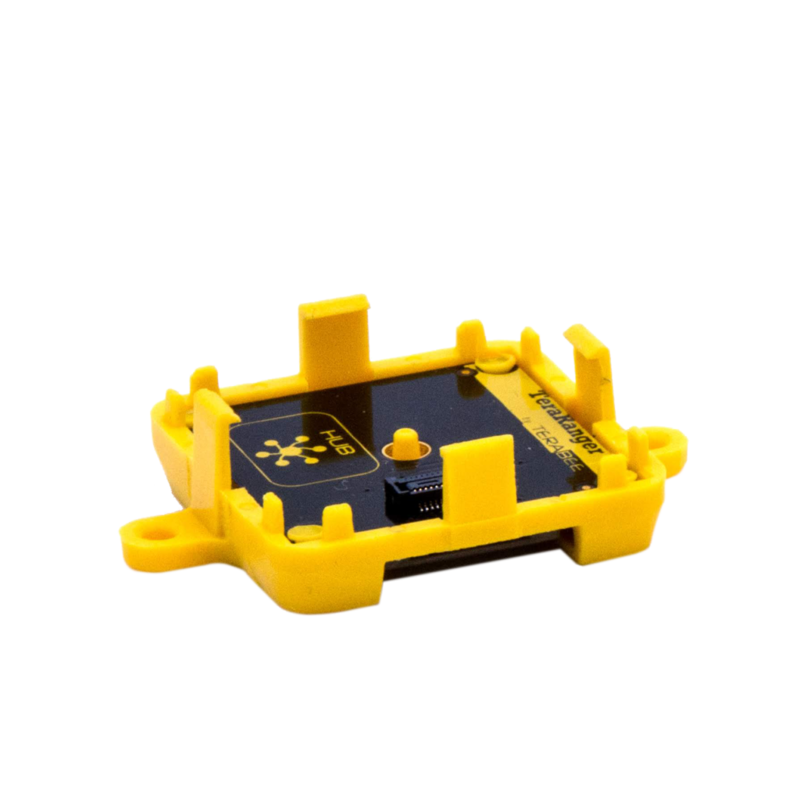 The lightweight board allows plug’n play connection between Evo sensors and the TeraRanger Hub Evo - accessory for building and working with multi-sensor applications. The compact and lightweight (13g) board enables you to connect up to 8 TeraRanger Evo distance sensors and stream distance data in millimeters via USB and UART interface. TeraRanger Hub Evo features a crosstalk avoidance mode triggering sensors in a sequence to avoid crosstalk and allowing to place these where necessary! It’s the ideal solution for research, R&D projects and rapid prototyping of multi-sensor configurations. 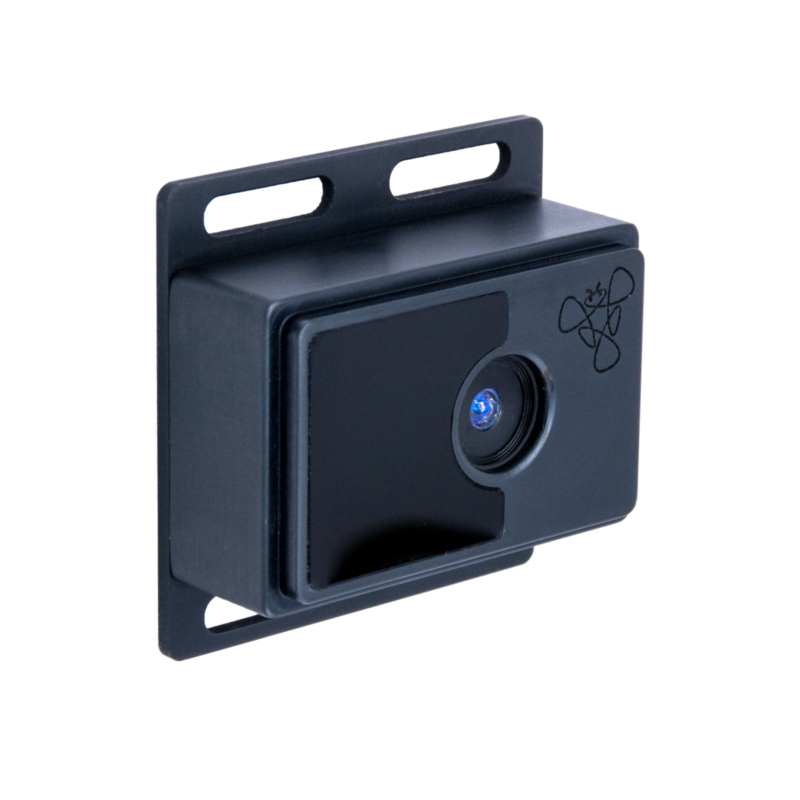 Terabee manufactures Time-of-Flight distance sensors, 3D depth cameras, infrared thermal cameras and more! Our products are compact, lightweight and high-performance, offering plug and play capability out of the box.